Bruce Springsteen is one of the world's best selling music artists of all time with more than 135 million records sold. He has earned numerous awards for his work, including 20 Grammy Awards, two Golden Globes, an Academy Award, a Tony Award (for Springsteen on Broadway) and was inducted into both the Songwriters Hall of Fame and the Rock And Roll Hall Of Fame. 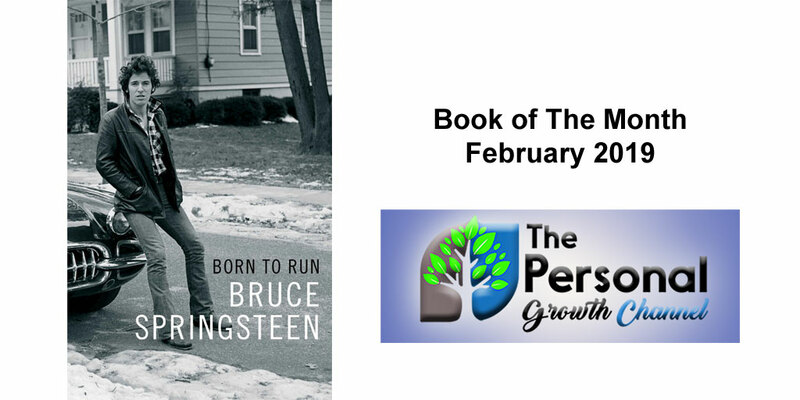 This month's personal development book pick is Springsteen's autobiography, "Born to Run." Click here to order through Amazon. The thing that I love about biographies and autobiographies in relation to personal growth is that they are usually interesting and reveal many life lessons along the way, and this one doesn't disappoint. The journey from saving up his pennies to buy an $18.95 guitar from a local store to earning many millions of dollars every year in a highly competitive field and playing at the Super Bowl is an inspiring one, and a lesson in what it may take to transition from dream to reality. This is also a story of being human, as Springsteen talks about hard times, family, love, loss, success, and everything in between. While you're reading this one, ask yourself these questions. What really matters most in life? What does Springsteen's story say about what it takes to be successful? What lessons can I take from this story? How can I apply these lessons to my own life? Let's discuss on a live call next month! Click here to view our event schedule and sign up.